Diapers only touch film, not the pail, so there is no messy residue left behind. It has five-layer refill with odor-barrier technology. Ultra-Fresh Antimicrobial Protection inhibits odor-causing bacteria. Refills have a multi-layer film for the ultimate protection against odor. 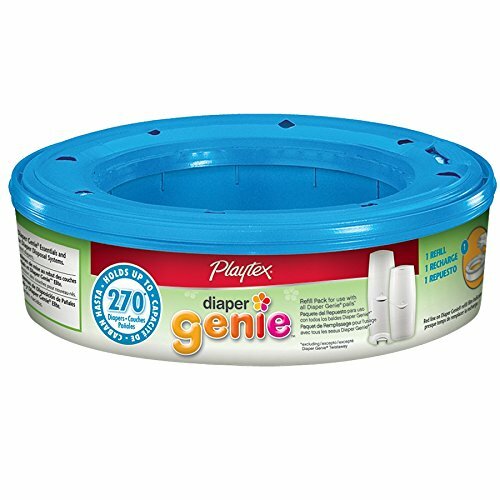 Each refill can seal up to 180 diapers and are only intended to be used with the Diaper Genie II Elite and Diaper Genie II systems. These refills are unscented and can be used for babies of all ages. Perfect for babies of all ages.